Sitting right on the slopes, the Constellation Residences are an amazing set of privately owned ski-in ski-out rental homes in Lake Tahoe. These first class vacation rentals are large compared to most and come "done" in two, three or 4 bedroom styles. With the finest of furnishings, this is the highest end luxury accommodations available at Northstar resort. Constellation Residences at Northstar is the epitome of service and style and with the Ritz Carlton very close, they can cater to your every desire. This is one of the top ten best accommodations to stay at in all the United States. With direct access to the Northstar California village via a gondola, there is shopping, dining and nightlife just a few yards from the front door. The Constellation Residences book early in part because of their very large spa and fitness center which makes pampering a whole lot easier. The property maintains heated swimming pools and spas year round and with stellar views of the Northstar slopes and golf courses, this is the finest experience you can have when visiting. 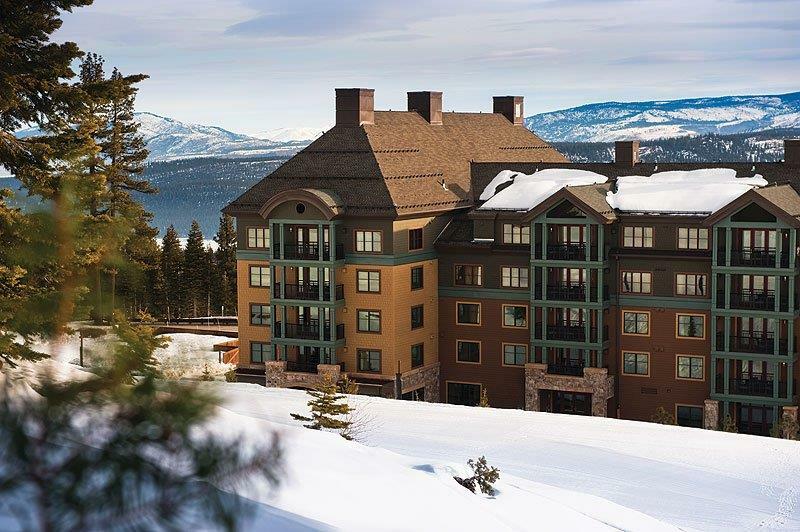 Located mid-mountain at the newest Vail Resorts-owned resort Northstar California Constellation Residences at Northstar are the only true ski-in ski-out fully-equipped vacation homes in Lake Tahoe. These luxuriously appointed fully furnished two- three- and four-bedroom mountain homes were built by The Ritz-Carlton Development Company Inc. and offer an unparalleled vacation experience. Constellation Residences at Northstar provides unparalleled services and amenities to all owners and their guests and spares no expense to care for your needs. And with world-class Ritz-Carlton service at your fingertips there is virtually no request that cant be met. Directly connected to the Ritz-Carlton Lake Tahoe Hotel recently named as a top-ten ski hotel in the United States by Conde Nast Traveler guests of Constellation Residences at Northstar enjoy unlimited access to the Hotel and its myriad amenities - including Manzanita the resorts signature restaurant a 17000 square foot spa and fitness center mountainside heated swimming pools and hot tubs and access to the Village at Northstar via a direct-access gondola - just steps from Constellation Residences at Northstars doorstep. Each residence is equipped with superior features such as Viking Professional appliances and wine refrigerator LCD televisions and Direct TV wireless internet in-home washer dryers and central heating and air conditioning. Beautifully furnished master bedrooms have their own private bath suites - complete with heated Italian marble floors jetted tub separate shower dual wash basins and walk-in wardrobe and additional guest bedrooms and baths are spacious and inviting. A true private mountainside dwelling nestled in its own tranquil enclave above the bustling village and adorned with all the comforts of home this fully-equipped residence is rich with all of the conveniences privileges and amenities available to ritz-carlton hotel guests.